Natural: These ingredients are relatively unrefined agricultural commodities such as grains (corn, wheat, oats), grain by-products, plant-based proteins meals (soybeans, corn gluten, alfalfa) and animal-based proteins (pork, fish). These contain a variety of macro-, micro-, and non-nutrients and are considered chemically complex. Refined: Compared to natural ingredients, refined ingredients are chemically simple as the result of further processing from the source material, often removing non-nutrient components. The goal of a refined ingredient is often to provide one major nutrient and possibly trace amounts of other nutrients. Examples include casein, sucrose, glucose, fructose, and cornstarch, among others. Standard (natural ingredient) diets: Also called grain-based or cereal-based, standard diets are a widely used type of laboratory animal diet, used to support reproduction, growth, and maintenance of animal colonies. Because of the nature of the ingredients and the scale of production, there will be a greater degree of nutrient variability relative to diets using refined ingredients. While this type of diet has been used in research for more than 75 years, the inherent presence of non-nutrients in these diets can impact phenotype. Medicated diets: Serving a veterinary purpose, these diets with added medications can supplement a standard diet to prevent or treat common infections (such as pinworms and fur mites) in laboratory animals. The formulation of a diet matters as it could affect the interpretation of and confidence in the research results. Open formula diets have published ingredient lists along with the recipe, while closed formula diets are proprietary, listing the ingredient composition but not the recipe. By definition, open formulas are fixed, meaning the same recipe is followed for each production. Closed formula diets can be either fixed or variable (the recipe can change over time). While fixed formulas are unchanging, variable formulas can have shifting ingredient inclusion rates over time, in an effort to manage nutrient variability. However, end-users will not be aware if or how a formula like this changes over time. 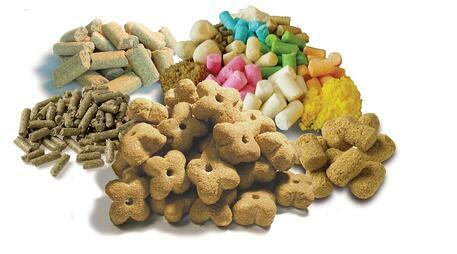 Laboratory animal diet manufactures rely on stringent ingredient sourcing and manufacturing practices, for instance, purchasing ingredients only from approved suppliers and testing or inspecting the products before inclusion. The goal is to manage variability over a long period of time and achieve nutrient stability. Study endpoints can be affected by the inclusion of non-nutrients in a diet, which may be inherent in the natural ingredient or present as a contaminant, such as arsenic, lead, mycotoxins or certain pesticides. Several strategies can be employed to avoid these non-nutrients. Corn- and wheat-based ingredients can be screened for mycotoxins. Or a diet can exclude fish meal to minimize nitrosamines, a potential carcinogen, and lower arsenic levels. Excluding alfalfa meal greatly lowers background autofluorescence, which interferes with imaging in live animals. As mentioned in a previous, the good, the bad and the ugly effects of dietary phytoestrogen in lab animal diets avoiding phytoestrogens, is a prime concern as they can mimic both the structure and the function of estrogen in mammals, leading to unpredictable effects and potentially unreliable results. Use of a standard diet that excludes soybean and alfalfa meals, or a purified diet, will help avoid any impact of dietary phytoestrogens. Diet is a valuable research tool when chosen with intention. By understanding the potential variables with a diet, such as ingredients, nutrients, non-nutrients, formulation strategies, and manufacturing approaches, you will be better prepared to make more informed decisions.